Our Solar Siblings is an inquiry-based project for high school level astronomy. It is an investigative data and inquiry driven curriculum replacement for the “astronomy out of the text book” approach commonly undertaken in high schools. It employs an embedded professional learning program for the teacher while the students undertake authentic astronomical analyses of data collected by professional grade astronomical telescopes. 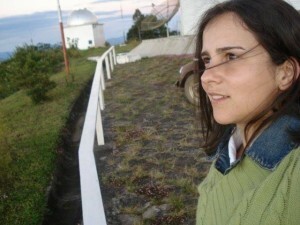 Thus, the personnel in the project provide teaching and learning support, access to research grade telescope instrumentation from the teacher’s classroom and extensive curriculum materials who would like an opportunity to undertake authentic astronomy in their classrooms with a minimum of stress and preparation. The core of the project revolves around the curriculum materials supplied as an interactive digital “book” with all of the software, student materials, teacher guides and explanatory movie clips supplied. These materials are updated and expanded as teachers implement the project in their classrooms and supply feedback of their experiences to us. We act on teachers’ and students’ feedback to improve the curriculum materials. By providing pre-prepared and coherently structured but editable and customizable curriculum materials to the teacher, as well as support via digital technologies such as email, Skype, Zoom during implementation, we minimize the teacher’s own preparation time and let them focus on providing quality astronomy education in their classroom. 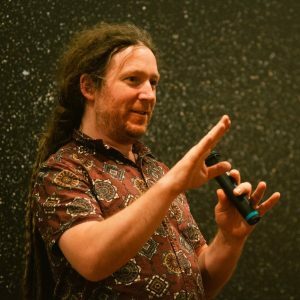 Michael Fitzgerald is an Astronomer and Educator based in Melbourne, Australia. With David McKinnon, he is the co-author of the curriculum materials used in Solar Siblings. He combines a long background in both astronomy and education research at both high school and undergraduate university level. His focus is on the provision of learning experiences that are authentic in nature, plausible in implementation and efficient in communication and which deliver the educational outcomes for students and teachers. 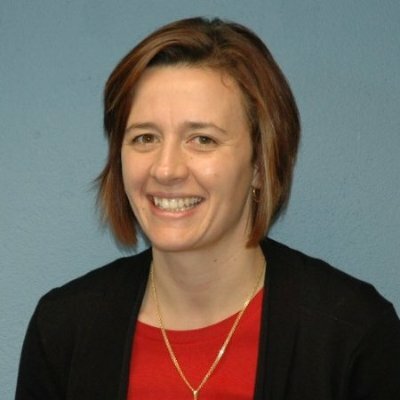 Lena Danaia is an Associate Professor in the School of Teacher Education at Charles Sturt University in Bathurst, New South Wales. She predominately works in the science and technology curriculum area where her research focuses on science education and spans primary, secondary and pre-service teacher education. She has taught in schools in both Australia and the United Kingdom. David McKinnon established and ran the Charles Sturt University Remote Telescope until his departure in July 2014. He has a profound interest in science education at all levels and especially involving astronomy, public outreach and teacher professional learning. 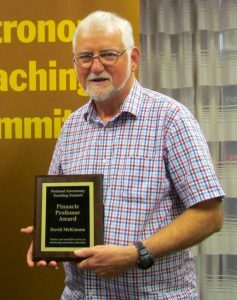 He has been involved with Las Cumbres Observatory global telescope network and its predecessor Faulkes Telescopes UK since 2003 as an international education advisor and consultant as well as undertaking research into the impact of using the telescopes on students and teachers. Mariana Sacchi is Our Solar Siblings’ data scientist. She looks into new ways to deal with incoming data from the optical telescopes as well as archival observations such as those from 2MASS, WISE and USNOB-1 to support original and student research. 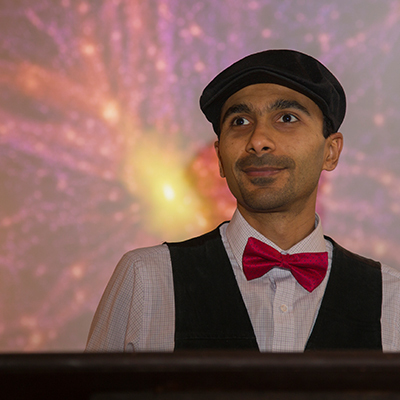 Saeed Salimpour has a background in Physics focusing on Astronomy/Astrophysics & Fluid physics, Design, Photography & Multimedia, and currently a PhD candidate researching Astronomy Education, with a focus on Cosmology Education, Data Visualisation, VR/AR and the interface between Science and Art. Saeed has spent the better part of a decade making fundamental physics and astronomy accessible to everyone, irrespective of their background. His goal has been to find new ways of simplifying some of the complex concepts in science and presenting current research to a non-technical audience, whilst working at the interface of science, art and education. He believes in “being curious for the sake of finding things out!”. Saeed contributes in numerous and countless ways to Our Solar Siblings, but his biggest visible contribution is the design of the curriculum materials and manuals.